Second half goals from on-loan striker Gerard Rowe and captain Colm Foley saw St Patrick’s Athletic to a fully deserved victory over a woeful Finn Harps side at Richmond Park on Friday night. Neither side had taken a win in their first three games of the season, but Harps could be the ones to struggle in the long-term on the evidence of this result. Rowe, on loan from champions Shelbourne for the season, had gone close twice in the opening skirmishes before Robbie Doyle forced Gavin Cullen into a smart stop on 23 minutes. 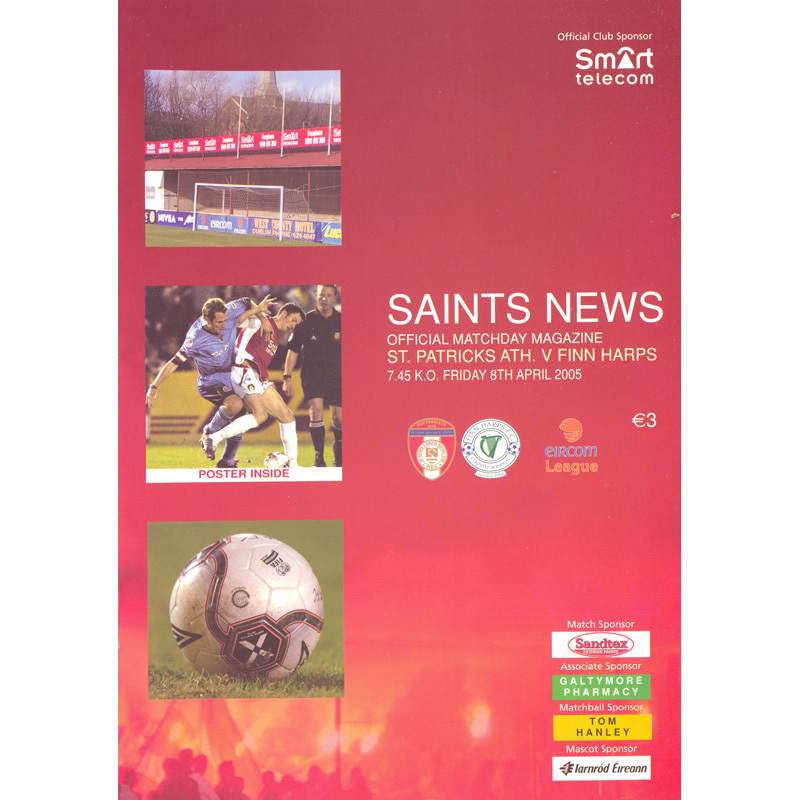 Fintan Bonner had Harps’ first real shot in anger on 28 minutes, but that was as worrying as it got for Saints keeper Barry Ryan on the night. The home side’s dominance in the aerial exchanges brought chances for central defender Darragh Maguire before the break, but he was unable to find the target on both occasions. Within 60 seconds of the second half the home side were in front, Rowe robbing Shane Bradley before firing past Cullen for the opener. Maguire had a goal disallowed by referee Jimmy O’Neill, but the sealing goal eventually came two minutes from the end, Foley succeeding where his central defensive partner had failed by heading to the Harps net from another deep delivery.